For the Russian film director, see Sergei Solovyov (film director). For the Soviet footballer, see Sergey Solovyov (footballer). For the Russian mathematician, see Sergey Solovyov (mathematician). Sergey Mikhaylovich Solovyov (Soloviev, Solovyev; Russian: Серге́й Миха́йлович Соловьёв) (17 May [O.S. 5 May] 1820, in Moscow – 16 April [O.S. 4 April] 1879, in Moscow) was one of the greatest Russian historians whose influence on the next generation of Russian historians (Vasily Klyuchevsky, Dmitry Ilovaisky, Sergey Platonov) was paramount. His son Vladimir Solovyov was one of the most influential Russian philosophers. His older son Vsevolod Solovyov was a historical novelist. Solovyov studied in the Moscow University under Timofey Granovsky and travelled in Europe as a tutor of Count Stroganov's children until 1844. The following year he joined the staff of the Moscow University, where he rose to the dean's position (1871–77). He also administrated the Kremlin Armoury and acted as tutor to the future Alexander III of Russia. Solovyov's magnum opus was the History of Russia from the Earliest Times, totally unprecedented in its scope and depth. From 1851 until his death, he published 29 volumes of this work. Among his other books, the History of Poland's Downfall (1863) and the Public Readings on Peter the Great (1872) were probably the most popular. Solovyov appreciated Russia's position as the outpost of Christianity in the East. In his opinion, the Russian statehood resulted from a "natural and necessary development" of numerous political and social forces, which he attempted to trace. He took particular interest in the Time of Troubles and Peter the Great's reforms, which he described as temporary diseases of the organism of Russian state. In the words of the 2004 Encyclopædia Britannica, his History "wove a vast body of data into a unified and orderly whole that provided an exceptionally powerful and vivid picture of Russia's political development over the centuries. The work inaugurated a new era in Russian scholarship with its depiction of Russia as evolving through organic and rational processes from a primitive, family-based society into a centralized, autocratic state". 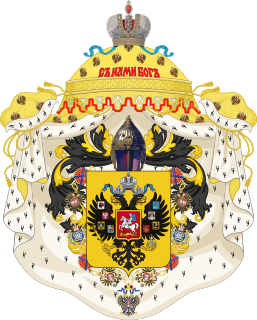 Privy Councillor was the civil position (class) in the Russian Empire, according to the Table of Ranks introduced by Peter the Great in 1722. Initially, it was a civil rank of 4th class, but from 1724 it was upgraded to the 3rd class. The rank was equal to those of Lieutenant-General in the Army and Vice-Admiral in the Navy. The rank holder should be addressed as Your Excellency. Nikolay Mikhailovich Karamzin was a Russian writer, poet, historian and critic. He is best remembered for his History of the Russian State, a 12-volume national history. Sophia Alekseyevna ruled as regent of Russia from 1682 to 1689. She allied herself with a singularly capable courtier and politician, Prince Vasily Golitsyn, to install herself during the minority of her brother Ivan V and half-brother Peter I. She carried out her regency with a firm and heavy hand, not hesitating to use violent tactics to promote her agenda. The activity of this "bogatyr-tsarevna" was all the more extraordinary, as upper-class Muscovite women, confined to the upper-floor terem and veiled and guarded in public, invariably were kept aloof from any open involvement in politics. Vladimir Sergeyevich Solovyov was a Russian philosopher, theologian, poet, pamphleteer, and literary critic. He played a significant role in the development of Russian philosophy and poetry at the end of the 19th century and in the spiritual renaissance of the early 20th century. Mikhail Nikolayevich Pokrovsky was a Russian Marxist historian. One of the earliest professionally trained historians to join the Russian revolutionary movement, Pokrovsky is regarded as the most influential Soviet historian of the 1920s. Vsevolod Sergeyevich Solovyov was a Russian historical novelist. His most famous work is Chronicle of Four Generations, an account of the fictional Gorbatov family from the time of Catherine the Great to the mid-nineteenth century. Solovyov's "atmosphere of nostalgia for the vanished age of the nobility" helps explain his "posthumous popularity among Russian émigrés." Mikhail Petrovich Pogodin was a Russian historian and journalist who, jointly with Nikolay Ustryalov, dominated the national historiography between the death of Nikolay Karamzin in 1826 and the rise of Sergey Solovyov in the 1850s. He is best remembered as a staunch proponent of the Normanist theory of Russian statehood. Prince Sergei Nikolaevich Trubetskoy (1862–1905) was a Russian religious philosopher. He was the son of Prince Nikolai Petrovitch Trubetskoy, co-founder of the Moscow Conservatory, and Sophia Alekseievna Lopouchina. His mother was a big influence on his religious thought. He and his brother, Evgenii Nikolaevitch Troubetzkoy (1863-1920), continued Vladimir Solovyov's work on developing a modern Christian philosophy of the world. He was a Professor of Philosophy at Moscow University. Vladimir Rudolfovich Solovyov is a Russian TV and radio journalist. He graduated from the Moscow Institute of Steel and Alloys and completed a post-doc position at the Institute of World Economy and International Relations. Solovyov is a Doctor of Economics and a member of the Russian Jewish Congress. Alexander Alexandrovich Polovtsov was a Russian statesman, historian and maecenas, the founder of the Russian Historian Society. Count Nikita Moiseevich Zotov was a childhood tutor and lifelong friend of Russian Tsar Peter the Great. Historians disagree on the quality of Zotov's tutoring. Robert K. Massie, for example, praises his efforts, but Lindsey Hughes criticizes the education that he gave to the future tsar. Vladimir Ivanovich Guerrier was a Russian historian, professor of history at Moscow State University from 1868 to 1904. As the founder of the "Courses Guerrier", he was a leading instigator of higher education for women in Russia.